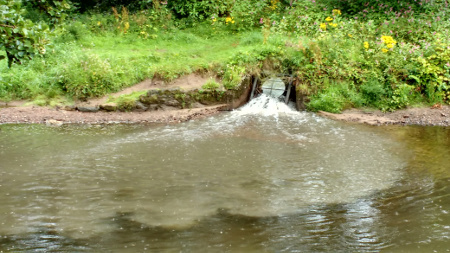 The sewage system in the centre of Nairn and the storm drains are linked and when there is a downpour what you see in the image below can happen as it did today. Not good for the river and not good for the bathing water quality on the beaches too. Maybe one day the powers that be will resolve this problem. Thanks to the regular reader that sent us this image.